The Christmas Spin Fest over at Power Spins is in full swing, and so far they have handed out 4,690 jolly bonus spins on three popular Christmas slots. If you want to join in on the holiday fun you’re in luck, as the last draw for 2,140 spins on Planet of the Apes is about to begin! It’s quite easy: between 22nd of December and 1st of January, you’ll earn 1 ticket for every £10 wagered in the casino, or 2 tickets for every £10 wagered on the week’s featured Power Game. Increase your winning chances by earning as many tickets as possible, and go for one of the top positions in the draw. The prizes are completely wagering free, so they’re worth fighting for! Get a bit of luck, and hundreds of bonus spins on the Hollywood slot Planet of the Apes could be yours soon. Visit the promotion page at Power Spins to see the full prize list and to follow the draw, and make sure to read the full promotion terms and conditions. It’s not a unique concept, but it’s one that’s very popular among online casinos these days. At Power Spins you’ll level up by filling a Power Bar as you spin the slots. The great thing at this casino is that the reward for levelling up is always bonus spins that have no wagering requirements attached to them. This means that you can do whatever you want with your reward winnings, including withdrawing them without ever having to worry about the boring hassle of wagering. You’ll also get more valuable bonus spins at every fifth level, and special cash offers and mystery rewards will occasionally appear. Visit the vault to check out the Power Ups that you have earned, and once you’ve completed all 50 levels the vault will crack and you will get access to the exclusive VIP rewards. Power Spins is the perfect online casino for players who hate everything that has to do with wagering requirements and confusing bonus rules. 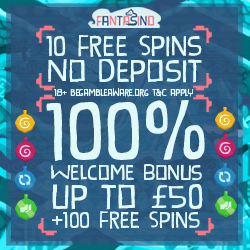 Their welcome deposit offer is clear and easy to understand: you’ll get 1 bonus spins for every £1 you deposit, up to a maximum of 50 bonus spins. So if you deposit £42, you will have 42 spins coming your way! The bonus spins can be used on a range of different NetEnt games, and they have no wagering requirements attached to them. Read the full terms and conditions for this offer at Power Spins.